It all adds up to one fabulous gaming site, 888 Games are for players who like to play games. Not head games, but action the kind of games that will give you heart racing action. If an adrenaline rush is what you are after 888 Games has just the game for you. Just one look at 888 Games and instantly visitors will sense a quality gaming site. The web design is contemporary, crisp and rich. The soft violet hues against a splash of their most prized games are enticing. A unique feature is the Games Instructions where each game is described in detail. With so many games offered it is nice to view them in full detail before playing in real money. Auditing products on a monthly basis for fair and randomness of wins is assurance players can rely on. No download is necessary and that is a nice plus for players who can utilize flash games and browse the site with ease. 888 Games is fully regulated by the Gibraltar Gambling Commissioner and licensed by the Government of Gibraltar. Globalcom is instrumental in the development of quality software products. There are over 80 exciting online games with impeccable graphics and some of the most popular games chosen by players in the gaming industry. Splurge and play games for Free to practice or just to have fun. The hardest part is deciding which game to play first in real money mode. The popular games are listed with Deal or No Deal and Monopoly as the all-time favorites. Progressive Jackpots offer massive payouts with incredible cash prizes. Besides amazing graphics the variety of Slots will fit ever type of spinner’s desires. Cascade slots are exciting when they stack up in your favor. An array of themes with compelling special features offering Free Spins and Bonus Games that is riveting. Instant Wins, Table Games and Number Games complete this well rounded package of casino games. At 888 Games they believe in quality service and products and are confident players will have a blast in the casino. To welcome you and tempt you in sheer delight a sweet No Deposit offer is available to all new comers. The depositing options are endless with banking that fits every type of player’s needs. When making your very first deposit a Welcome Bonus is available to enhance your cash. Keeping up with the current holidays and world events, exclusive promotions are tailored made to celebrate them and add all that much more enjoyment to your game. High quality gaming with audio and visual richness gives a rich allure to this site. A Vegas style atmosphere from the comfort of your home is captivating. We rate 888 Games with 3.75 Pink Hearts. I really liked a lot of things about this site. It was very nice to see that no downloads were necessary to access their games so there was really no wait at all to get started. I simply signed up in a quick couple of minutes and I was ready to play! You don’t even have to waste your pennies right away, because they give you opportunity to play games in 'fun mode', which, of course, means you get to play for free and try out the games. I got the time to pick out my favorites, so when it came time to play for real cash! Once I started playing for real cash, I noticed the awesome progressive jackpots they offer on a regular basis for games like Fantastic Four and Chain Reactors. The video slots they have feature some excitng extras to keep you on your toes. 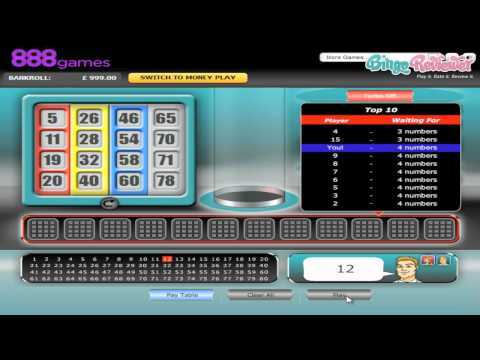 They also have a variety of instant win games, poker and even sport related games. This is a part of the same network that 888 Play is on, and you've got even more games available. Still, no downloads required, and all you need is a Flash enabled browser. They have recently gone mobile, too, and you can log in and play using your mobile or tablet, which is something I really appreciate. The £5 Free no Deposit Bonus applies both ways (desktop or mobile), so you can browse around and play a bit, just to get a feel about it. The games are powered by Globalcom, and that means you get some of the best games available in one package. I was specially impressed by the 3D roulette, probably the best I have played so far. Didn't win much, but enjoyed it anyway. I have been successful on Slots, and managed to withdraw the cash without any problems. I contacted the support just in case, and they were really good, informative and polite.